Pearls, diamonds, topaz, sapphires... How many gemstones can you name? The luxurious decoration and the delicate brush strokes of Micho's work seem to resemble the Art Nouveau; it feels like watching sparkling gems. 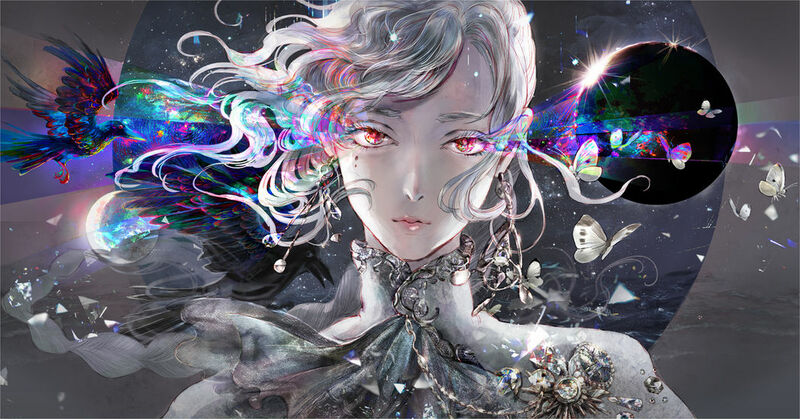 Not only the protagonist and the characters in the painting are very beautiful, but even the birds, butterflies, flowers, and other things around the characters are also so gorgeous that you would like to wear them as pieces of jewelry. This time we are featuring the shining and delicate works of Micho. Ranging from mythic gods to Japanese-style touches--please enjoy her world.